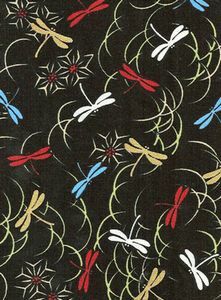 Cherry red, snow white, sky blue, and metallic gold dragonflies lazily dance on a black background. 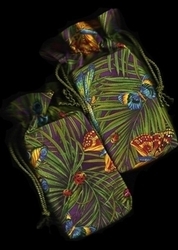 Flying among the pale green and cream arcs of grass blades and spiky white flowers with red centers, the dragonflies on this pattern seem to move and enchant. 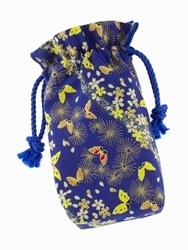 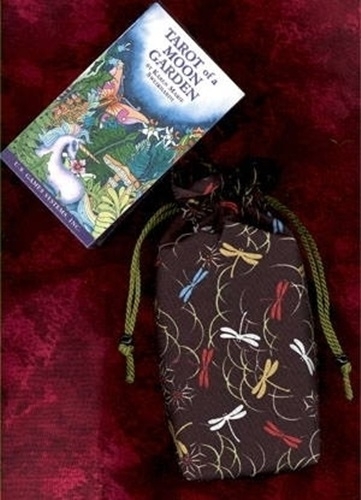 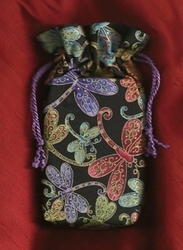 Pictured at right: This Dragonfly Garden Double Draw Tarot bag has a light green cord which ends with tasseled tips. 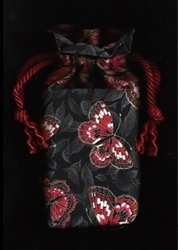 It is shown in the picture with a deck that we think goes well with it, Tarot of a Moon Garden by Sweikhardt.